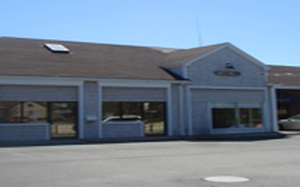 We opened our first center in 2004 because we saw a need in the community, and were eager to fill it. We wanted to create a welcoming environment for working families in South Dartmouth, where parents felt confident their kids were well cared for, safe, comfortable, and of course, HAPPY! We were so fortunate that local families immediately responded, and seemed to love the care we provided for their children. As our enrollment steadily grew, we felt a strong need to provide additional programming for older children in our care before and after their school day. Our small center was ideal for little ones, but we were limited in what we could offer to the bigger kids. As a result, we opened Kids Ink Too in September 2008. 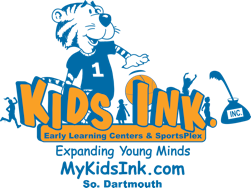 Kids Ink Too has so much to offer both our school age students and our many preschoolers. We are proud to serve the families of Dartmouth and greater New Bedford, and will continue to be active in the community, always interested in continuing to meet the needs of the working families that make this area so great! Our commitment to each Kids Ink family is to make the most of your child’s formative years, as the most active period in cognitive development is from infancy to age 5. We strive to make Kids Ink a home away from home: a place where a child wants to be – every day – where the focus is on developing a strong learning foundation. For parents who want to bring out the best in their children and provide long-term advantages at a very early age, Kids Ink is the place to be. Our philosophy at Kids Ink is based on children's developmental needs for independence within the limits of a carefully structured environment. Kids Ink strives to develop security, self esteem, responsibility and a feeling of positive self-motivation. Motivating the children both emotionally, socially and physically is important to developing their full potential. We provide children with a safe, nurturing environment that stimulates and challenges young minds. Our centers are licensed by the Massachusetts Department of Early Education and Care (EEC) and staffed in accordance with certified early childhood professionals. Our teachers and teachers’ assistants are certified in CPR and first aid, as well as many other areas. They have been selected not only for their experience in early childhood education, but also because their personal educational philosophies are compatible with that of Kids Ink.